So far the trends for 2019 are pretty similar to the trends from 2018. 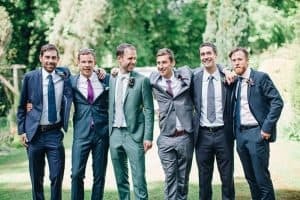 Brides will not have to worry too much about learning all the new and popular styles, as they are very close to what they were the past year. 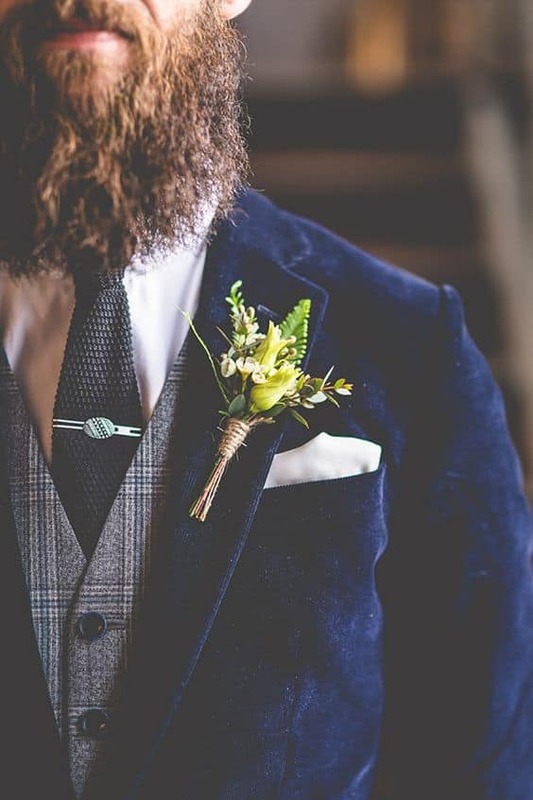 There are, of course, a few new, exciting trends for 2019, as new styles do pop up every year. However, if you loved the 2018 look of capes, dresses with sleeves, and dark color schemes, you will be in luck for 2019! 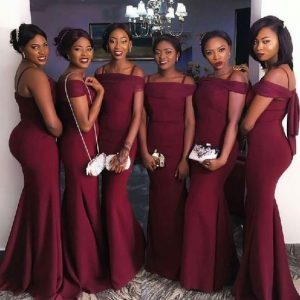 Bridal fashion is not changing too much for the new year. 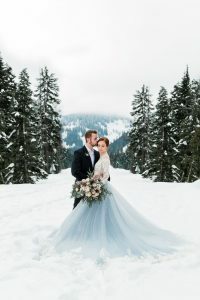 Gowns with sleeves, made of tight lace, or more flowy materials, are not going away in 2019. 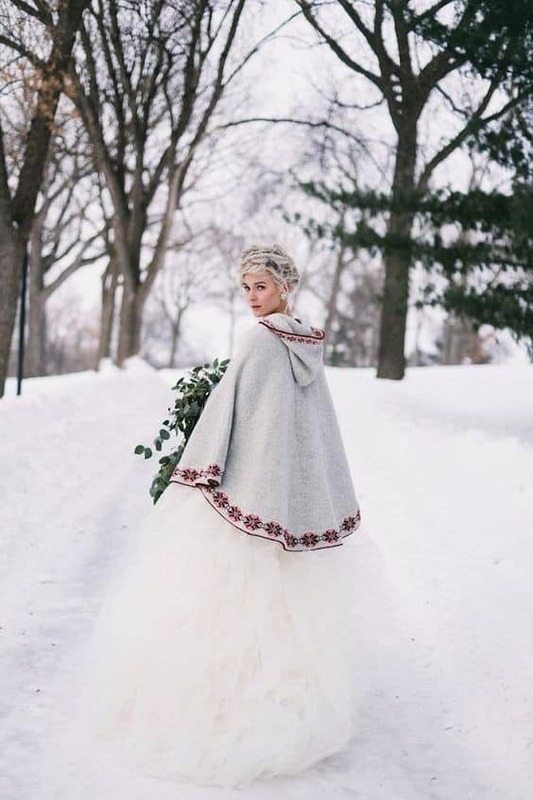 The trend of using capes as a wedding gown accessory is also here to stay! This whimsical wardrobe piece is a perfect accent for any time of year. 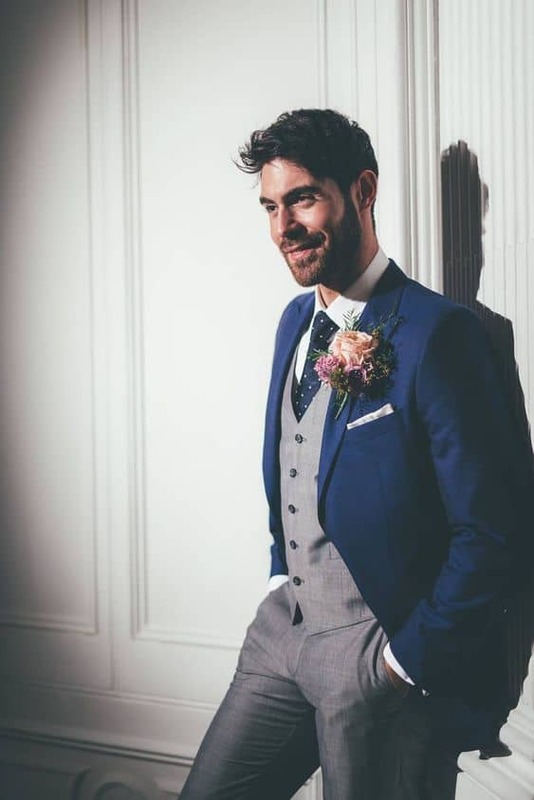 A light cape is perfect coverage from damaging sun rays during hot summer months, or as a fashion statement for indoor ceremonies. 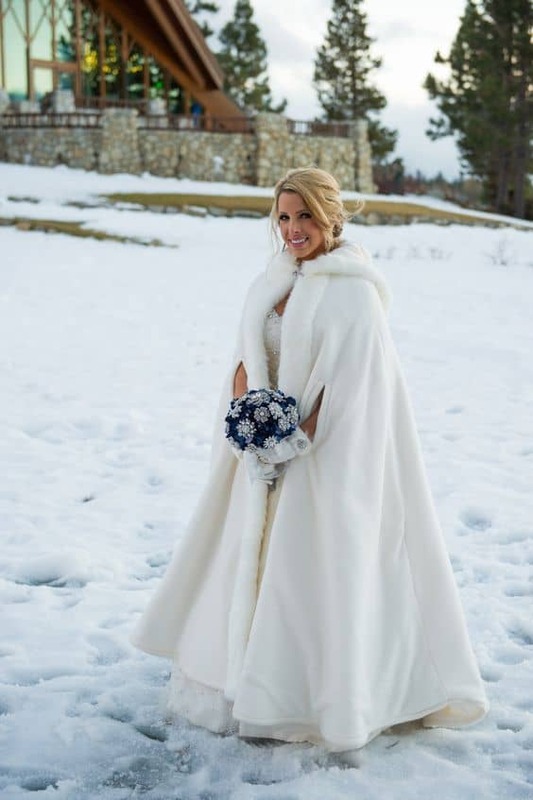 A heavier cape can double as protection from the cold in cooler months, and as a great way to incorporate an accent color! 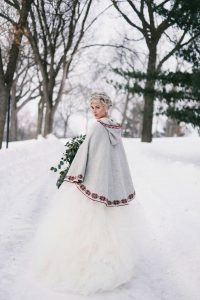 Capes will also be used as a substitute for veils in 2019, as brides are moving away from the traditional wedding styles. 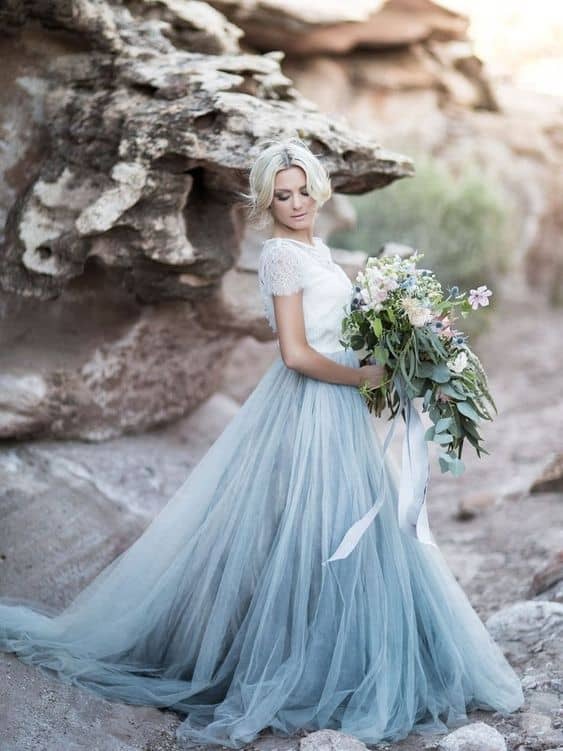 The untraditional brides will also be enjoying wedding dresses with hints of color. 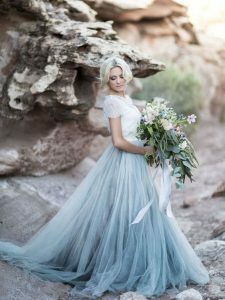 Light blue seems to be the newest trend for dresses with a bit of color, straying away from the blush or purples that have been popular recently. 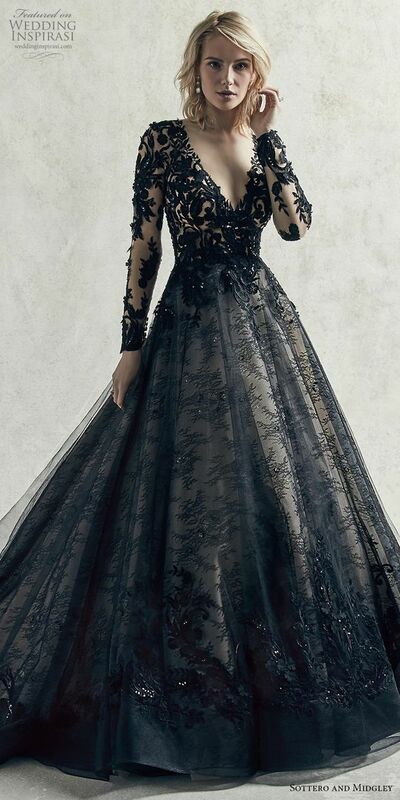 Wedding gowns in black are also growing in popularity for brides who like to do things a bit differently. 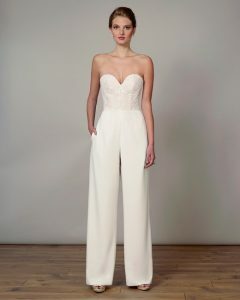 Another non-traditional trend for 2019 will be bridal pantsuits! 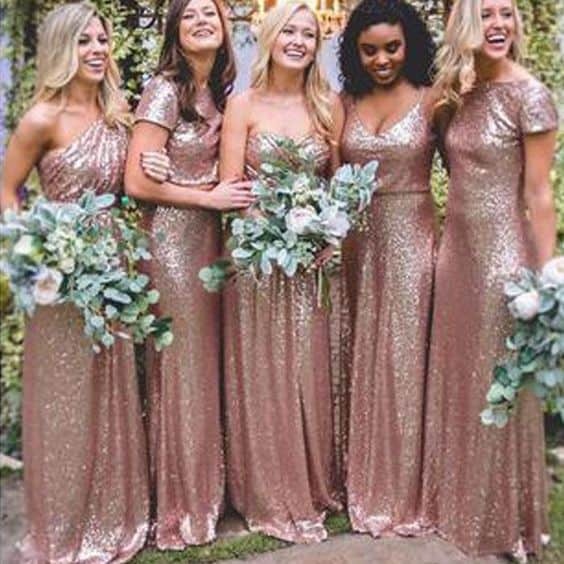 Although not necessarily for the ceremony, this will be a great new trend for brides to get a bit more comfy, while still looking chic, during their reception. 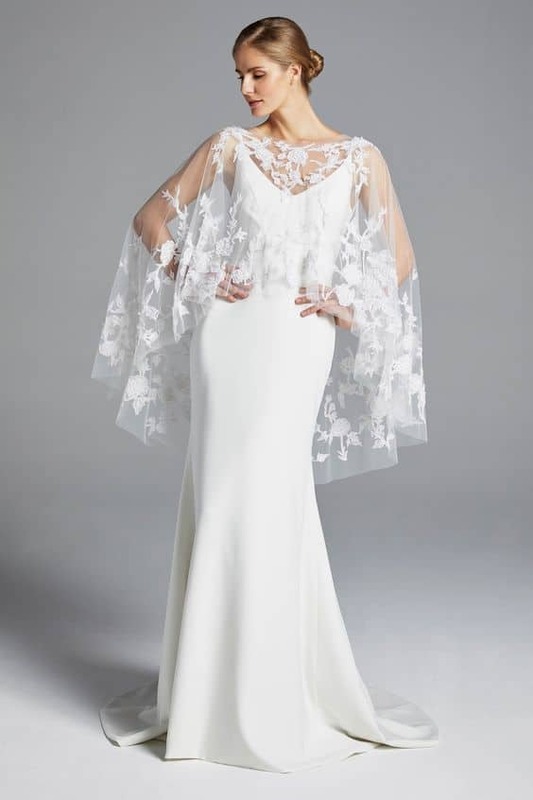 The largest trend for 2019 bridal gowns will definitely be the bateau neckline. 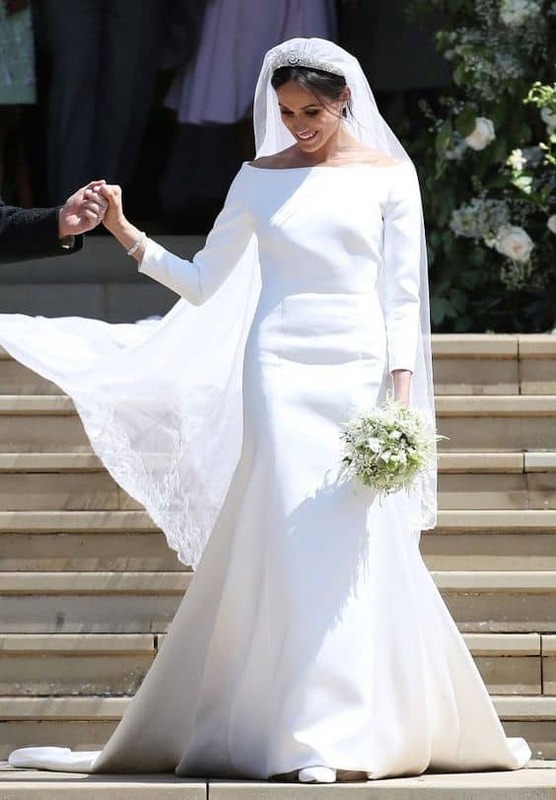 More commonly known as ‘boatneck’, this simple, yet elegant neckline has been sweeping across the globe thanks to Meghan Markle mania. 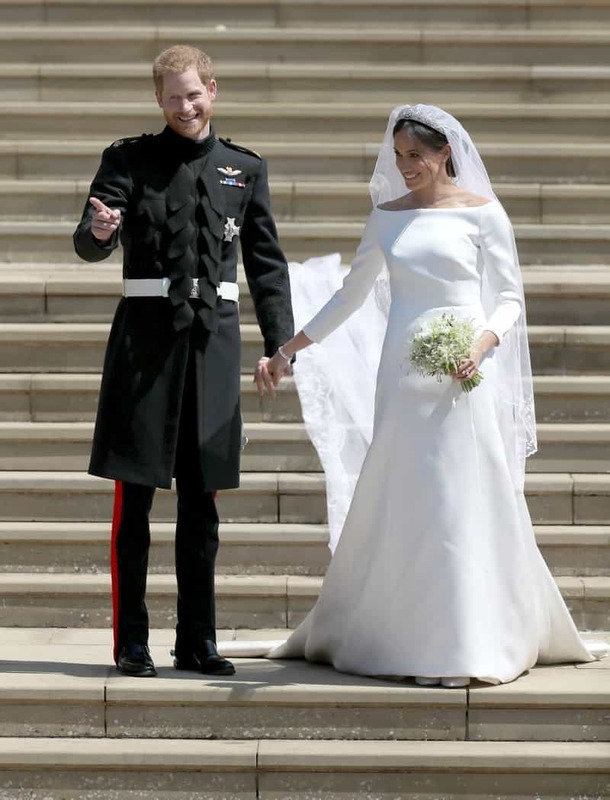 Since her wedding to Prince Harry in May of 2018, the bateau neckline has become a staple for brides currently shopping for their own gowns. For the bridal party, deep, rich colors, will be the hot trend this year. 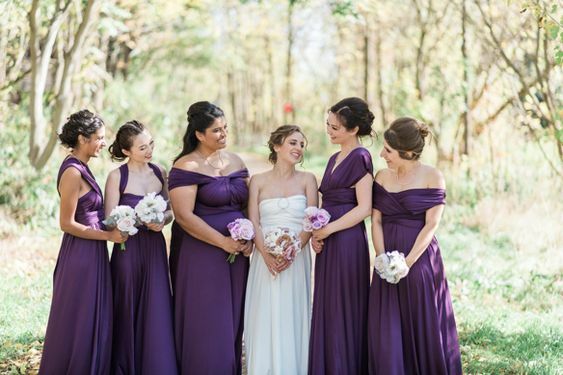 Be on the lookout for bridesmaids wearing emerald, purple, or burgundy. Bridesmaid dresses with sparkle and shimmer will also be big in 2019. 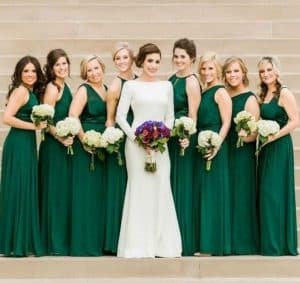 Mix and match dresses will continue to be popular this year, as today’s brides are happy to give their bridal party a bit more personal choice with their dresses. Some brides may opt for the same fabric or similar style of dress in their bridesmaid’s color choice, while others will select the color, allowing their bridesmaids to find the dress that best suits their individual body style. 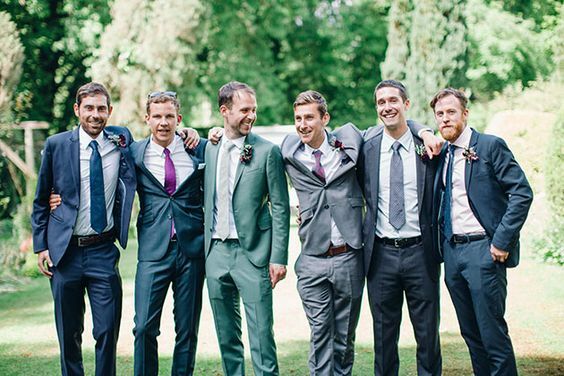 For the grooms and groomsmen, the mix and match style has finally become a popular trend! This is a great option for couples looking to keep their shindig a bit more relaxed and informal. 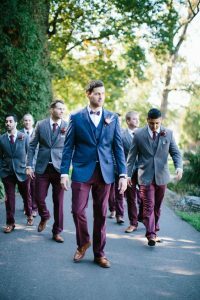 Keeping with the trend of darker color pallets, navy suits are still the top choice for men’s wear, for both informal and formal weddings. As you can see, the trends for 2019 seem to be a more developed and expanded version of the 2018 trends. So if you are a 2019 bride that started shopping last year, you have nothing to worry about! 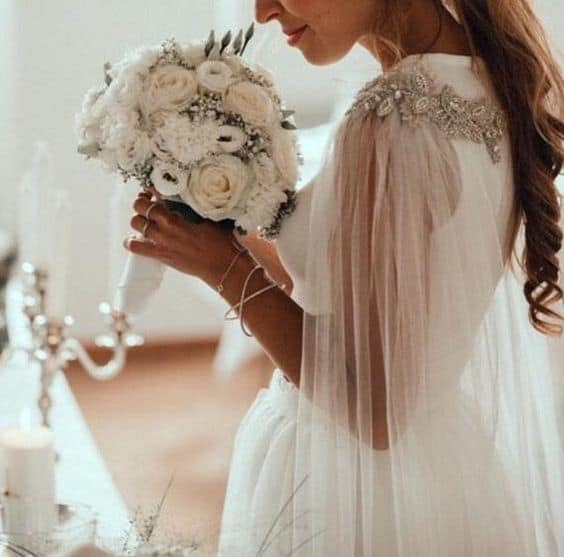 Don’t be concerned if you are set on sticking to what’s on-trend, but your wedding dress has a neckline other than bateau. 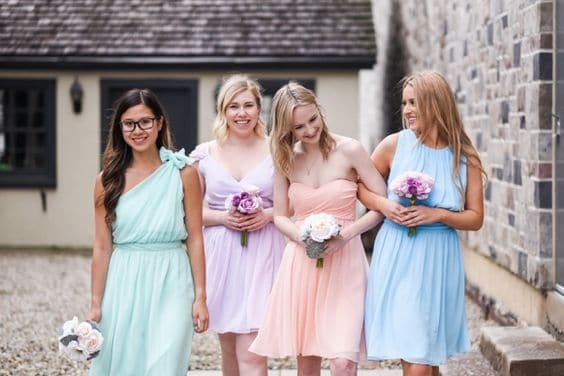 To keep up with 2019, consider simply picking out a dress for the rehearsal dinner that fits with the Meghan Markle trend, rather than starting over from square one. 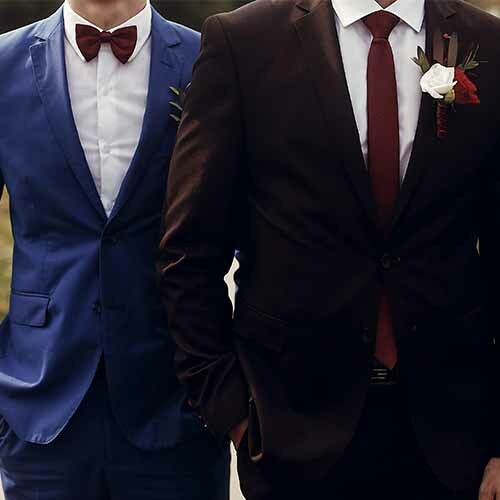 Not a fan of capes or dark colors? Just do you! 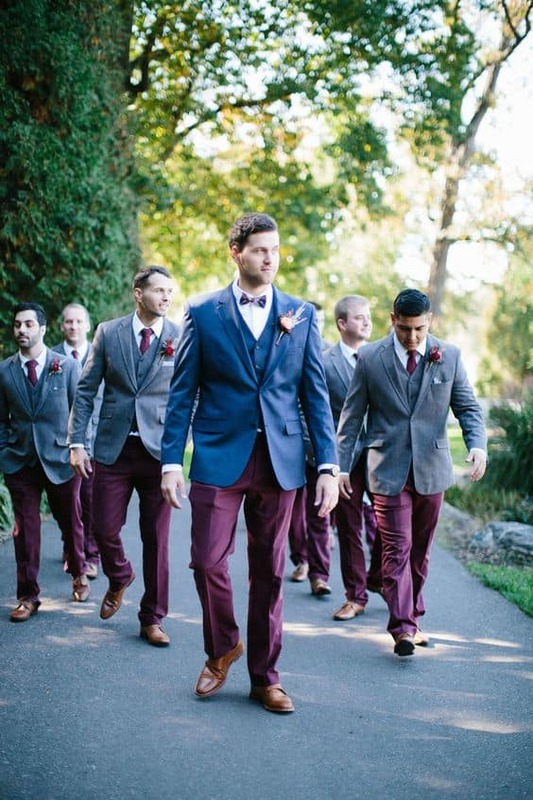 This is your big day, so even if it goes against the current trends, be sure to plan a wedding that fits your taste. Enjoy some influence from the 2019 trends, or make up your own. Either way, thanks for reading, and happy wedding planning!